Mike and I decide to head home and make a jambalaya. But as I ease on up our road I spot “COWS IN THE HAYSTACK!”. I stop the car and honk to Mike who is behind me in the flatbed and off he races into the field towards the haystack. I barrel up to the garage and stash my Audi All Road and jump into the little red pickup not caring about my designer duds. 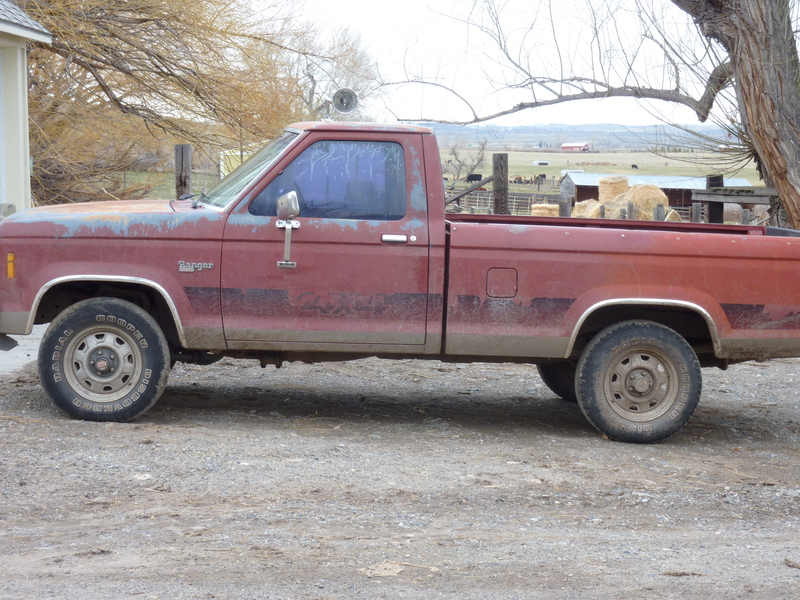 I careen down the rutted road, splashing through the deep puddles and gently take the pickup down and then up the ditch and then back down into more mud. I streak across the field and park at the far end of the hay stack and jump out whooping and hollering to the cows in the stack. Mike is on the other side. Well, those cows took one look at that crazy yellow and black thing flapping its wings and doing some sort of crazy dance and they turned and pretty much high tailed it (well as best as a cow can lift its tail high) out of the stack. “Boy, that’s the easiest time I’ve had pushing those cows,” I proudly exclaimed. Hmmm? I’ll take note of that. Do you think if I only use yellow designer clothes to chase cows, I could use it as a legitimate ranch deduction? This entry was posted in Montana Life, Social Commentary and tagged cows, Max Mara, Montana. Bookmark the permalink.